The Bounty Hunter Time Ranger is a top of the shelf metal detector. Treasure hunters and metal collectors who are looking to apply a convenient metal detector that has the capability of detecting everything will go for this. You will discover a lot of benefits if you use this metal detector for your operations in collecting the pieces of treasure they are lined to collect. It is reliable with some great features that the user will find very useful in their activities. All the users who purchase the metal detecting equipment have nothing but good feedback on its operations. Mode – The metal detector has a sniff mode that eliminates unnecessary items such as trash while detecting other metals. It is so specific in ways that will allow the hunter to understand what metal they will be digging and how deep the metal is. The detector tests for the metal type by testing on electrical conductivity. It also has an all metal mode that detects metals even in water as it has a waterproof search coil and SMART TRAC computerized ground balance to achieve maximum depth without affecting other target ID and other discrimination modes. The users can switch through the modes to assist in proper metal detection as they go about their metal detecting activities. Advanced in detection – The time ranger metal detector can detect any form of metal as it is highly sensitive to any metal that might be beneath the ground surface. It has a large LCD screen that displays possible target type, depth and status at all times. Time ranger can also determine type of metal by measuring its electrical conductivity. The information is displayed on the LCD screen as a number from 1 to 299. This is useful in ensuring no time is wasted on possible metals that end up being trash. If the beeping sound goes off from either the headphones or the speakers the metal detector automatically test for conductivity. Trash will have no number between the 1 and 299. Depth detector- The hunters will be sure no time will be wasted in digging for a piece of treasure without necessarily knowing how deep they will have to dig. The LCD screen will clearly display how deep the coin, gold, silver or any other form of metal will be found. It can detect coins for about 9 to 11 inches under the ground which ensures certainty when digging for the treasure. Previous users have spoken of its accuracy in terms of how deep the piece of treasure can be found. Unlike other metal detectors hunters using the Time Ranger are sure of sufficient results and if they are specific on what they are extracting they will find this equipment best. It can clearly indicate what type of metal they will be digging for. If the piece of metal they are digging for is within a certain bracket of number ranging from 1 to 299 displayed on the LCD screen they can easily confirm once the beeping sound goes off. Once they understand how to operate the metal detector they will find it easy to use towards efficient results. The Bounty Hunter Time Ranger is very keen on details, the LCD screen has calibrations on depth and metal type that assist the user in finding out what they extracting. If one is to collect they will know what to expect once they start digging and in what amounts they will dig out. The Time Ranger has long life as it comes with a pair of 9 volts rectangular alkaline batteries that are functional for more than 20 hours one won’t have to constantly worry of the battery inconveniencing them in their hunting escapades. The metal detector delivers awesome results this is due to the perfect features it has. The metal detector is ranked among the best metal detectors. As stated earlier the metal detector exists in four versions that are slightly different. The first version when powered up it immediately performs an air measurement then it enters the programming method. The second version has the co-relator mounted manually inside otherwise it operates almost similar to version 1. The 3rd version uses dual C-cell batteries instead of the 9 volt alkaline batteries whereas the fourth version is quite difficult in several areas and it powers up ready to hunt. The four versions were released on different time frames with the fourth version being the most recent release. The Time Ranger is most convenient and it delivers appropriately. Feedback from buyers shows that the metal detector has served them efficiently. The Bounty Hunter Junior metal detector is one of a kind detector that amateurs and children with interest in collecting coins might find suitable for their needs. It is quite affordable and offers an excellent range of services with its incorporated features. Use of the detector is also simple on purchase and out of the box setup is not complicated. With read ups of the manual, the user can quickly and efficiently put in the 9V batteries that power the metal detector. It is made of light material that makes it convenient to carry around. This detector is designed mostly for amateurs with interest of finding simple metal materials and not professional treasure hunters. Mode – The metal detector operates on a single mode that is the beeping sound. It comes with earphones that the user can use to listen in to any piece of metal. Parents might find this amazing for their kids who have interest in coin collection. The tone easily detects any piece of metal and the intensity of the beeps varies with how close the user gets to the metallic material. The automatic beeping sound can however be regulated. Advanced in detection–This metal detector has a discrimination control that eliminates any unwanted metals. The target meter measures material strength with a beep. The meter is calibrated to certain levels and a metal hunter will definitely know if they are to find metal. Below a certain meter range, it will be certain that the hunter will find trash instead of metal. Depth detection – The metal detector is designed for children looking to collect coins. It is therefore not as improvised as other metal detectors in terms of depth detection. It can however detect any metal material from coin sized object up to 5 inches deep and larger objects up to 3 feet deep. A parent that bought the metal detector for their children tested for its depth detection by burying coins in the ground that their child found within a short time also finding other metallic materials that were present in their land. 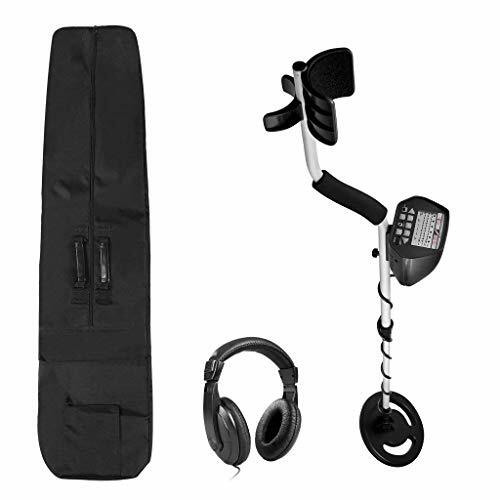 This metal detector is affordable and on purchase, the user will get headphones that they will use to listen in on any possible beep from the metallic items beneath ground. Purchase also comes with batteries that are long lasting and might still detect metallic objects even when they are about to run dry. The detector is very easy to use and it also comes with a manual for anybody looking to find any relevant instructions that might not be of basic knowledge. It is basically designed for amateurs or children looking to find coins hence the easy to use build up. The detector is made of easy to carry material that is strong enough to stand any form of fall and it is also an all-weather metal detector that the user can use efficiently as they go about the hunting escapades. It also has a compact size that is easy to carry around and very convenient for children. 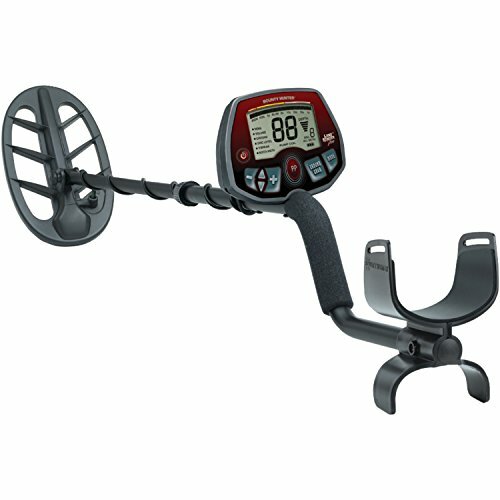 This metal detector has amazing features that are incorporated to supplement the major features. This will enable the user have an awesome experience as they hunt for the coins or metallic materials. It has a target detector that measures material strength and the signal tends to increase in volume as the target gets closer. 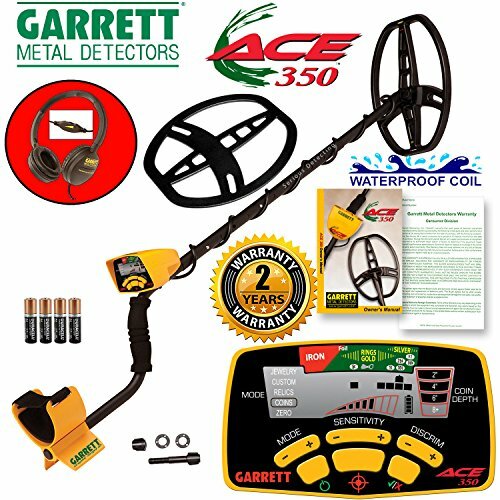 Amateurs or parents looking to purchase a convenient metal detector for their kids to introduce them to metal hunting should consider this easy to use affordable metal detector. 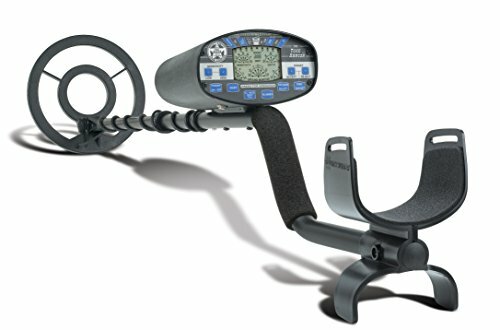 The American Hawk Explorer 2 metal detector is a mid-range detector suitable for anyone looking to start collecting metal or any metal pieces. From veterans, beginners to children who have interest in metal collection. It is money and therefore within reach for most interested buyers. The metal detector comes with a one year warranty, a carry bag and headphones which are definitely a good deal for the price it retails at. Mode – The metal detector has three modes of operations which the user can choose from when going about any metal detection procedure. These modes include: all metal mode, motion discrimination and auto notch filter. In the all metal mode the metal detector will detect any metal object, sensitivity in this mode can be adjusted and in ground balance the metal detector will be fully automatic. Motion discrimination mode will have the metal detector emit different tones depending on the type of metal it detects. In the final mode, the detector will automatically display the type of object found, in the three modes the sensitivity levels can be adjusted and in ground balance, the detector will switch to automatic mode. Advanced in detection – Users of this metal detector boast of efficient and advanced detection as the three different modes allow the user to easily know what type of metal they will collect. This is time saving more or so for collectors who are specific in the type of metal they will be collecting. The motion discrimination mode ensures the collector understands what amount of metal they will be collecting with the varying signal changes. Depth detector – The American Hawk Explorer 2 metal detector has an LED screen that assists in avoiding unnecessary digging and hunting. It shows the depth of the metal clearly showing what type of metal is beneath. This is convenient and time saving as any interested collector will find collection and extraction relevantly simple. If they collect knowing how deep the metal is and the mass that is expected with the varying signal strength that the motion discrimination mode shows which varies with the mass of metal that is to be found beneath. Buyers will find the headphones that come with purchase of this metal detector convenient. The purpose of the headphones is to listen out for any tones that might be heard if the detector comes above ground with metal below. Other metal detectors will need the hunter to buy their own set of headphones which might be expensive and in other cases not compatible to the metal detector which in turn leads to other unplanned for costs. The metal detector boasts of having exclusive features that might not be found in other metal detectors that might be expensive. The features are easy to understand whether they are amateurs in metal detecting operations or veterans. For the purchase price it comes with a carry bag that ensures it is safe from any form of interference that may hinder perfect operations or possible damage. It also comes with a long life battery that ensures the collector can go about metal collection without having to worry of the battery running dry. This metal collector has user friendly features that the user can quickly adapt to. The beeping sound and the LED screen are leading and any collector can easily relate to their use. On purchase the buyer might get a manual but inquiring on areas that might seem oblique will assist in ensuring the user uses the metal detector as required. The three modes that the user can switch to are efficient in ensuring proper time usage. The collector can easily understand what form of collection they will apply in collection. This is definitely possible after knowing the mass of metal present beneath the ground surface, which will be indicated with the signal strength. The above outstanding features place the metal detector at par with other perfectly known good performance metal detectors. The metal detector can however shift to automatic mode in ground balance which is good as automatic mode applies all sets of modes. Collectors that are using the metal detector on balanced ground will find the equipment extremely useful with efficient services that match up to other metal detectors. The metal detector also has three adjusting knobs for sensitivity, discrimination threshold and volume control. 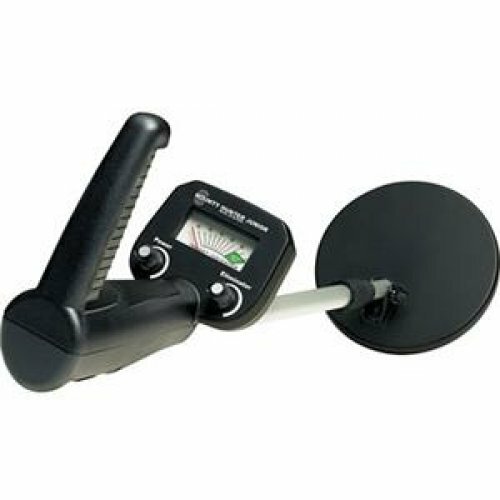 Most buyers who employ this detector in their metal hunting endeavors have good things to say about the detector. The detector can also detect gold, silver, copper, aluminum, platinum and other forms of metal found beneath the ground surface.